In the do-it-yourself television shows, the pros make it look so easy and for them, it is. They have a lot of big tools to do the work; they know which tools are right for the job and how to use them. This information is not privileged and you don’t have to watch years of do-it-yourself shows to learn how. Rentalex carries the same tools the pros use. 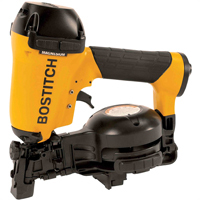 We also have rental specialists on staff to explain how to use them before you take it home so you do the job right — without damage to yourself, your house or the tool. To get your money’s worth out of renting a specialty tool, there are a few things you should know to rent right. First, choose the best tool for the job. Tell the staff at Rentalex what you want to accomplish rather than what tool you want to rent. We may suggest a different tool that will do the job better and quicker. Trust us to rent you the tool you need and not more tool than you can handle. Trust Rentalex to provide correct information. We believe in volunteering answers for the questions you don’t know enough to ask. When we ask questions, we’re investigating. 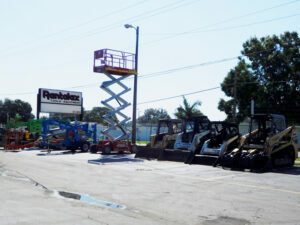 At Rentalex, we ask questions in order to rent you the correct tool to get professional and efficient results. The information we can provide is invaluable — so not only do you rent well-maintained equipment, but you rent it with the security of knowing you’re doing it the best way possible. Once you decide on a tool, our staff teaches you how to use it safely. The customer’s safety is important at Rentalex. If a tool doesn’t feel right or doesn’t seem to be working correctly, please call us at (813)971-9990. Plus, we offer instruction on project preparation before taking the tool home. Paint Sprayer: Painting is one of the simplest, most inexpensive redecorating projects. 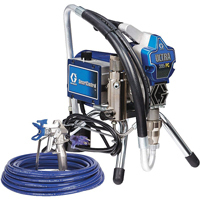 You can make it even simpler and faster with a rented airless paint sprayer. Be prepared and you’ll get incredibly fast spray painting. Cover, mask and tape windows, furniture and floors, and thin and strain the paint through a nylon stocking or paint filter. We can offer advice on how to thin the paint to get it to go through the sprayer, but you must also read the manufacturer’s instructions on how to thin their paint. Power Auger: Another common do-it-yourself project is fence building. What can be a quick project becomes weeks-long if you have a lot of holes to dig. Rent a power auger to dig all the post holes for you, and your fence really can be a weekend job. 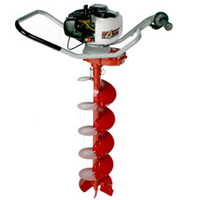 Two-person power augers are perfect for fence post holes. Other tools available for rental include skid steers, walk-behind trenchers, drywall hoist, pressure washers, and tile saws to name a few. Some of which you may think “I couldn’t really operate one of those.” But in reality, you can. Our staff will make it easy for you to learn how to use the right tools for your project. With the right tools you get professional results without the professional. Renting is the smart way to get things done. For more information on Rentalex, visit us online at www.Rentalex.com, or call us at (813)971-9990.